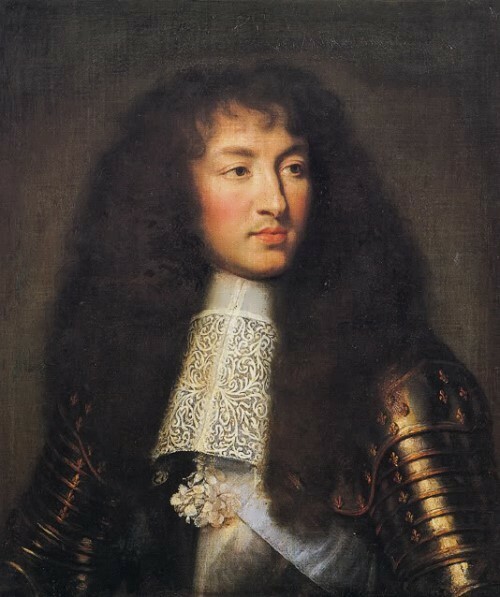 Louis XIV was an important king in the history of France. 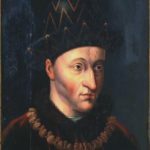 He was called “the Sun King.” He brought the French monarchy to its peak of absolute power and made France the dominant power in Europe. 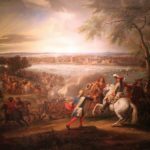 His reign is also associated with the greatest age of French culture and art. 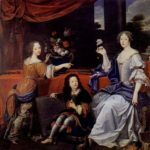 Louis was born on September 5, 1638 at Saint-Germain into the family of Louis XIII and his wife, Anne of Austria. 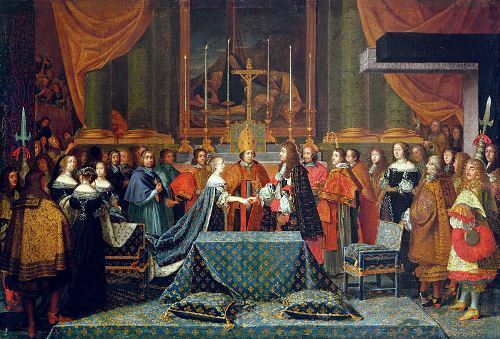 On May 16, 1643, his father died and Louis became King of France at the age of five. 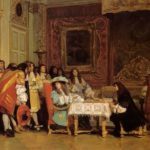 The country was governed by his mother as regent and at the age of 17 he ruled the country alone. 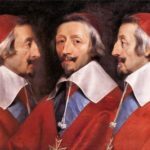 However, he was carefully guided by Cardinal Jules Mazarin, who had been the protege of Cardinal Richelieu. 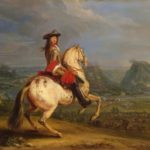 After the death of Cardinal Mazarin in 1661 the young king declared that he would rule on his own, without assigning a first minister. 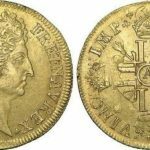 Louis was married to Maria Theresa, daughter of Philip IV of Spain. 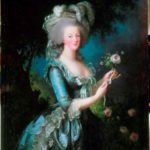 He married her reluctantly (he was in love with Mazarin’s niece at the time). 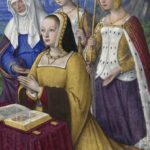 Louis had a number of mistresses. 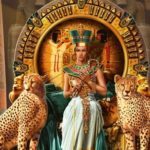 King’s wife gave birth to six children, but five of them died in childhood. Only one child survived. 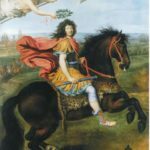 He was named Louis like his father and went down in history as the Great Dauphin. 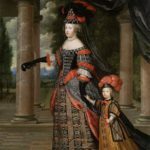 Louise de la Valliere, one of his lovers, gave birth to four children, two of whom survived to adulthood. 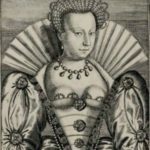 Francoise de Montespan gave birth to seven children, four of whom survived to adulthood. 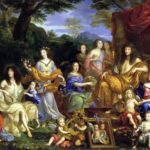 Louis XIV died on September 1, 1715 in his palace at Versailles, four days before his 77th birthday. 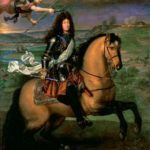 He was king for 72 years 3 months and 15 days. 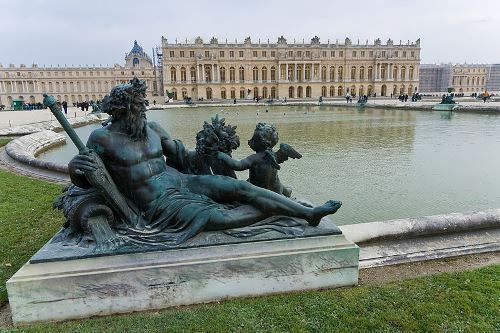 – Louis built a huge palace at Versailles, near Paris. It took 40 years to finish it. At one time, 36,000 people worked on building the palace. The gardens of the palace had 1,400 fountains. 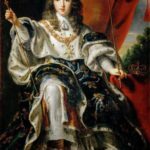 Under the scepter of the Sun King, Versailles became the cultural capital of Europe. – Louis hated to wash. He took only three baths in his life. He washed only one part of his body—the tip of the nose. – Louis had problems in sleeping. People say that he had 413 beds. He went from one bed to another until he fell asleep. 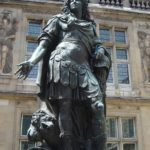 – Since childhood Louis XIV suffered from bulimia. A normal dinner for Louis was four bowls of soup, two whole chickens, ham, lamb, a salad, cakes, fruit, and hard-boiled eggs. He also drank a lot of champagne. – As a child, King was a good ballet dancer. 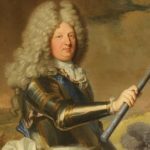 – Louis XIV had almost 1000 wigs.